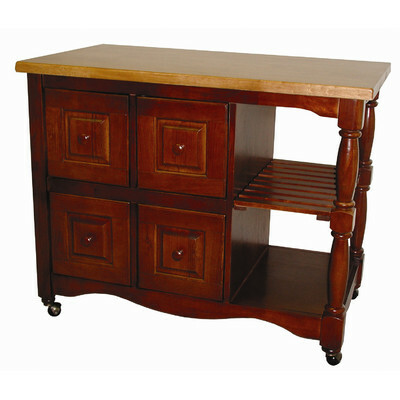 Add a touch of country comfort to your kitchen with this versatile and generously appointed kitchen cart from the Sunset Trading Sunset Selections Collection. Perfect for preparing family meals or serving drinks and appetizers when entertaining guests. Family and friends will be sure to gather around this cozy and inviting kitchen centerpiece. 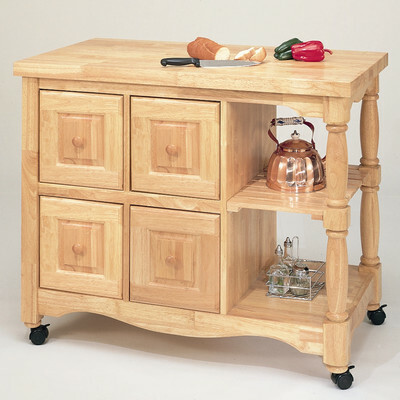 Features include four deep pass-through drawers that open from either side allowing for convenient and easy access, identical finish on either side of the cart for optimum placement in your home, antique black finish with cherry finished top and drawer knobs, two large open shelves for prominent display of decorative mixing bowls, baskets or gourmet cookware. Butcher block style with four deep drawers that can be opened from either side. Old style pull through drawers. Asian Ramon hardwood construction. 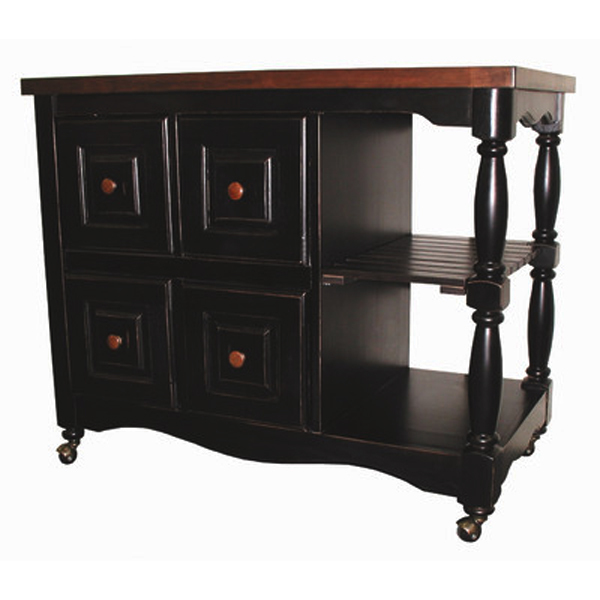 Identical finishing on either side of the cart for optimum placement in your home. Sunset Selections collection. Manufacturer provides one year warranty against defects.